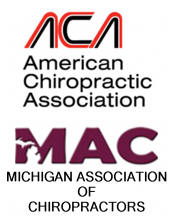 At Michigan Spine and Pain we offer state of the art WellWave/MyACT acoustic compression therapy for the treatment of acute and chronic pain in muscles, tendons and joints. WellWave/MyACT uses compressed sound waves to target tissue at varying depths to manipulate tissue and resulting in a focused and precise deep tissue massage. The results of the mechanical stimulus delivered by WellWave/MyACT can help to increase circulation and provide pain relief – key components in the healing process. Wellwave/MyACT is used for treatment of the musculoskeletal system in which pain is the main symptom. Very often pain, for which no obvious cause can be found in medical examinations, is also linked to myofascial trigger points. This pain can be diagnosed and treated very successfully with WellWave/MyACT. The acoustic waves generated by the WellWave/MyACT painlessly pass through the body and converge at a point deep within the soft tissue to produce an intense, extremely short duration compression event. The focused acoustic compression is translated to tissue to provide a massage with pin – point accuracy to the affected area. The sources of pain are not always found in the area where the pain seems to be radiating from. This is clinically called referred pain. The distancing of the pain sensation from its source can make treatment more difficult. Diagnosis of referred pain and the recognition of the originating pain triggering points can be accomplished using the WellWave/MyACT. Abnormal musculoskeletal tissue can be “flared” with focused WellWave/MyACT in order to define the areas that require treatment. This process of defining the origins of pain is guided by the patient through verbal feedback to the healthcare professional providing the treatment. 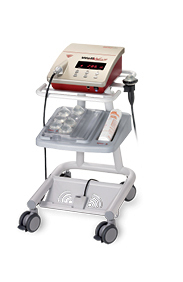 A typical WellWave/MyACT treatment takes between 10 and 20 minutes. Normally, 1-2 treatments per week are performed. A total of 3-5 treatments may be necessary before lasting improvement is achieved. With acute pain, a single session is often successful. There are no known side-effects at the energy levels used in WellWave/MyACT treatment.